Prince is universally regarded as one of the most prolific and creative musicians in the world. 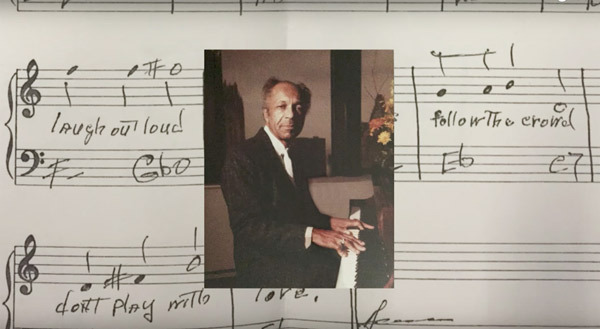 While fans know that Prince was inspired in part by his father, the late jazz musician and composer John L. Nelson, few have heard the elder Nelson’s music—until now. 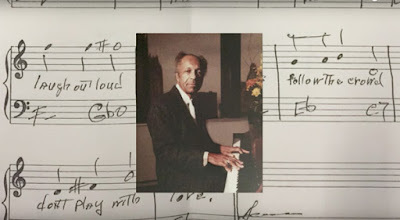 In honor of his 101st birthday, June 29th, Sharon Nelson, Prince’s oldest sister, is releasing a single of his original instrumental composition “Heart of Mine,” recorded by an all-star jazz collective dubbed "The John L. Nelson Project." The classic jazz tune, which features a warm horn melody over a bossa nova groove, is available on all digital platforms, including iTunes and Amazon. The track is featured on the upcoming full-length release of Nelson compositions titled "Don't Play With Love," due Oct. 27. Surprisingly, this marks the first studio recording of any music written solely by John L. Nelson, who died in August 2001 at age 85. Conceived and produced by his oldest daughter Sharon Nelson, and recorded in January 2017, the project also marks the first studio recordings made at the world-renowned Paisley Park complex in Chanhassen, Minn., since the untimely passing of Prince on April 21, 2016. During his lifetime, Prince acknowledged his father’s influence on his life as a musician, and admiration for his musical vision. Prince also shared credit with his father for several songs, including tracks from "Purple Rain," "Around the World in a Day," "Parade" and the Batman soundtrack. Sharon Nelson has wanted her father’s music recorded ever since she found a stash of his original handwritten charts back in 1978. The recording features top-notch jazz veterans and notable contemporary players, whose stellar execution will inspire renewed appreciation for the bebop genre and shed new light on the creative originality of Nelson, who performed in the ‘40s and ‘50s under the stage name of Prince Rogers. The John L. Nelson Project band features veteran drummer Louis Hayes, pianist Rick Germanson, bassist Dezron Douglas, saxophonist Vincent Herring, and trumpeter Jeremy Pelt. Co-executive producer Charles E. Spicer Jr. calls the project “historic” and “monumental,” and adds that he was proud to contribute to the recording. “Heart of Mine” is the first taste of the unsung talents of John L. Rogers, who made a distinctive contribution to America’s only indigenous musical art form, jazz—a form that still sounds fresh and inventive thanks to skilled players. Rogers’ music also creates a bridge to understanding the musical wellspring that informed the legacy of Prince. Louis Hayes, drums: The original drummer for the late saxophonist Cannonball Adderley, Hayes currently leads the Cannonball Legacy Band. The veteran musician has played sessions with Oscar Peterson, Grant Green, and Curtis Fuller; led or co-led groups with such jazz notables as Freddie Hubbard, Kenny Barron, Junior Cooke, Woody Shaw and Dexter Gordon; and played and recorded with such jazz greats as John Coltrane, Thelonious Monk, J.J. Johnson, Sonny Rollins, Jackie McLean, Wes Montgomery, Joe Henderson, Cedar Walton, and George Benson among many others. He has many recordings as a leader. Rick Germanson, piano: Also a member of the Cannonball Legacy Band, Germanson has performed with Elvin Jones’s Jazz Machine, Regina Carter, Tom Harrell, Slide Hampton, Frank Morgan, Eric Alexander, Frank Lacy, Marlena Shaw, Donald Harrison, Brian Lynch, Jim Rotondi, Charles McPherson, Charles Davis, Craig Handy, Cecil Payne, and the George Gee Orchestra. He has also released three solo albums. Dezron Douglas, bass: One of a new generation of talented young sidemen and session players in jazz, Douglas studied at the Jackie McLean Institute of African American Music at the Hartt School of Music, and in college co-founded the New Jazz Workshop of Hartford (Conn.). He is a member of Louis Hayes Jazz Communicators, Ravi Coltrane Quartet, Papo Vazquez Mighty Pirates, and The Cyrus Chestnut Trio, among other associations, and has recorded four albums as a leader. Vincent Herring, soprano saxophone/flute: Since first touring with Lionel Hampton’s big band, Herring has worked with Nat Adderley, Art Blakey & the Jazz Messengers, the Horace Silver Quintet, Jack DeJohnette’s Special Edition, Larry Coryell, Cedar Walton, Freddie Hubbard, Dizzy Gillespie, the Mingus Big Band, Nancy Wilson, the Roy Hargrove Big Band, Arthur Taylor, Billy Taylor, Carla Bley, and the Phil Woods Sax Machine. He has appeared as a guest soloist with Wynton Marsalis at Lincoln Center as well as with John Faddis and The Carnegie Hall Big Band, and also appears with Louis Hayes in the Cannonball Legacy Band. Jeremy Pelt, trumpet: Respected traditional and contemporary player Pelt has worked with Bobby “Blue” Bland, Ravi Coltrane, Frank Foster, Winard Harper, Jimmy Heath, Vincent Herring, John Hicks, Charli Persip, Ralph Peterson, Lonnie Plaxico, Bobby Short, Cedar Walton, Frank Wess, Nancy Wilson and The Skatalites, to name a few. Pelt has numerous albums as a leader.